A really fun and easy Twitter giveaway. Come meet the Double Duty Divas and choose who you wish to follow on twitter and you could have a chance at winning the $20 Amazon Gift Card! Tweet, tweet, tweet my sweet. We all love to go a twittering, so why not come twitter and win! Double Duty Divas do it all. Visit Meet The Divas and follow any number of bloggers you choose ON TWITTER and leave a link of someone you are following from the TweepML link for a chance to win. 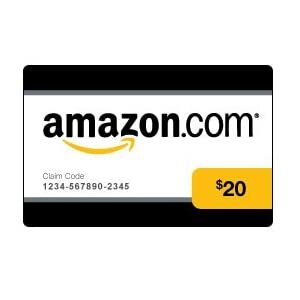 Prize: $20 Amazon Gift Card. The Double Duty Divas will randomly choose a blog number and entry number to choose a winner. No compensation was received for this post. See my disclosure. im new to twitter so i apologize, not sure what the teepml link is... i do follow you all though and my handle is organicmommyluv. one of the divas i follow is one little mister. oh and my mom's name is collette. =) i love it. I follow so many, but here's one! And has been a follower of you too! I'm following everyone on the list. JP Shaw is one of them to name. I follow all the Divas on Twitter, one specific would be mamasmoney. Had to delete my last comment because I didnt post the link. I am following all the divas @mandalynns78 Twitter!